Dr. Firestone is a Past President of the American College of Legal Medicine and a certified specialist in Legal Medicine/Medical Jurisprudence by the American Board of Law in Medicine. He is a frequent lecturer at national legal medicine and medical law conferences. 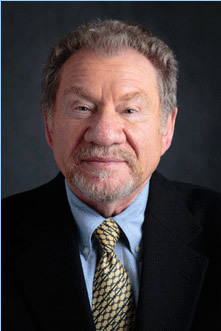 Dr. Firestone holds a medical degree from Temple University (1964) and a law degree from the University of Colorado (1980). He was the Editor-in-Chief of Medical Legal Lessons, is Editor-in-Chief Emeritus of Legal Medicine Questions and Answers, and is on the Editorial Board of the Journal of Legal Medicine and Textbook of Legal Medicine, publications of the American College of Legal Medicine. He formerly held the Hirsh Chair at the George Washington University in Washington, D.C. where he was professor at its Medical and Law Schools and School of Health Services Administration, teaching Legal Medicine, Psychiatry and the Law, and Legal Aspects of Hospital Administration. Dr. Firestone provides medical-legal consultation and practices medical law. His legal practice primarily involves representation of physicians in cases involving hospital staff privileges, licensure, medical practice disputes and other complex medicolegal issues.